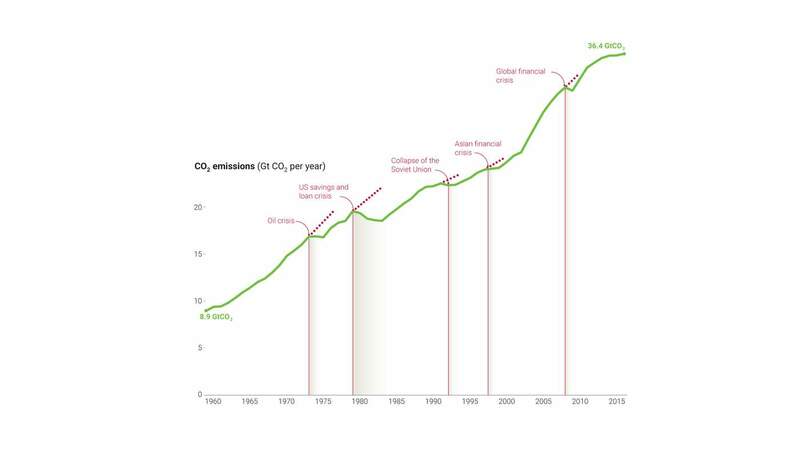 and carbon emissions in four charts. 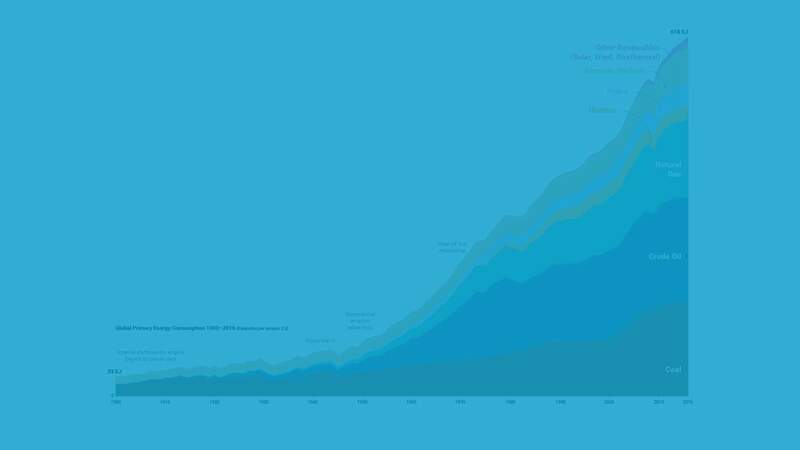 Overall global energy use has risen fivefold within one human lifetime. 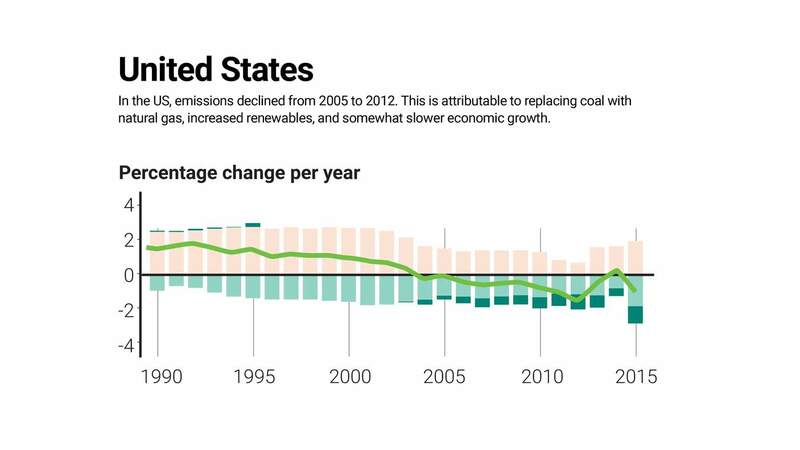 Like energy use, carbon emissions historically have marched resolutely upward—in lockstep with a robust global economy. 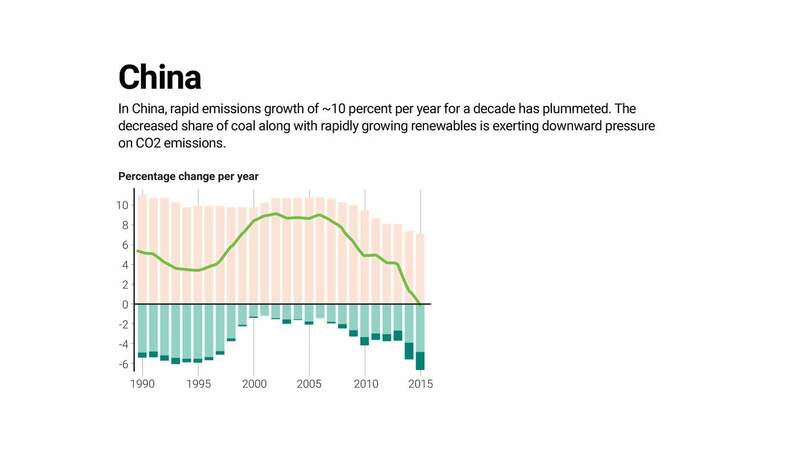 Economic crises have slowed the rise in emissions at times but haven’t stopped it. Now those trendlines are starting to diverge. For the past 15 years, global economic growth rose twice as fast as global energy demand and CO2 emissions. The changes have been the most dramatic since 2010. 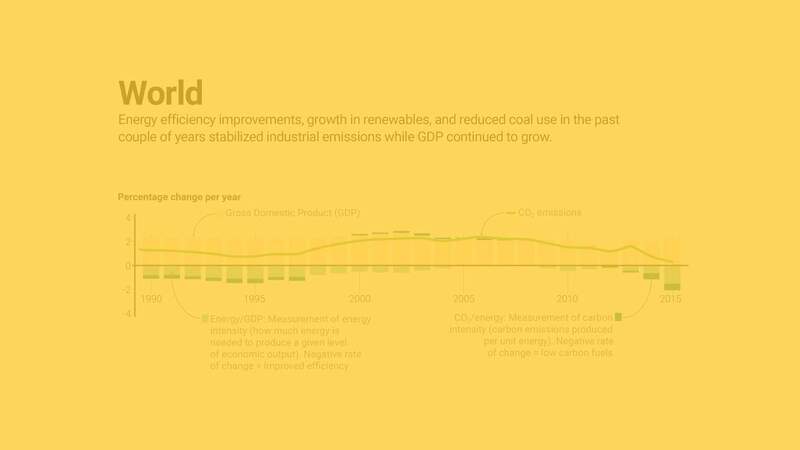 And within the past three years (2014–2016), emissions stabilized—at least temporarily—while the global economy continued growing. That is a first. 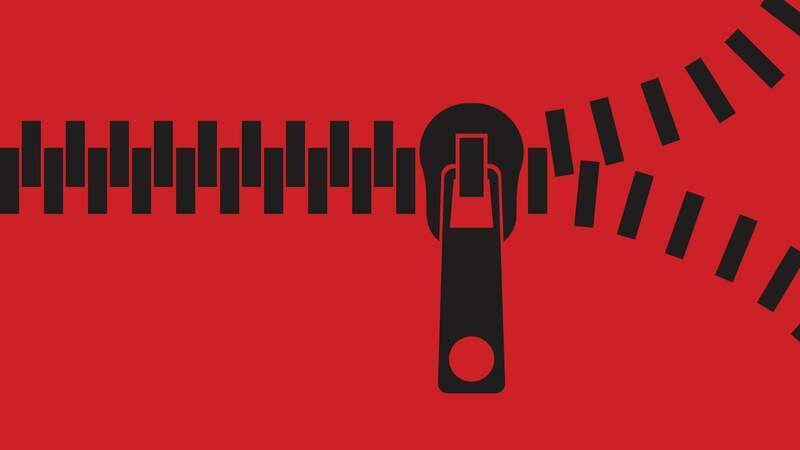 Decoupling, however, is not a foregone conclusion. Our trajectory is good. 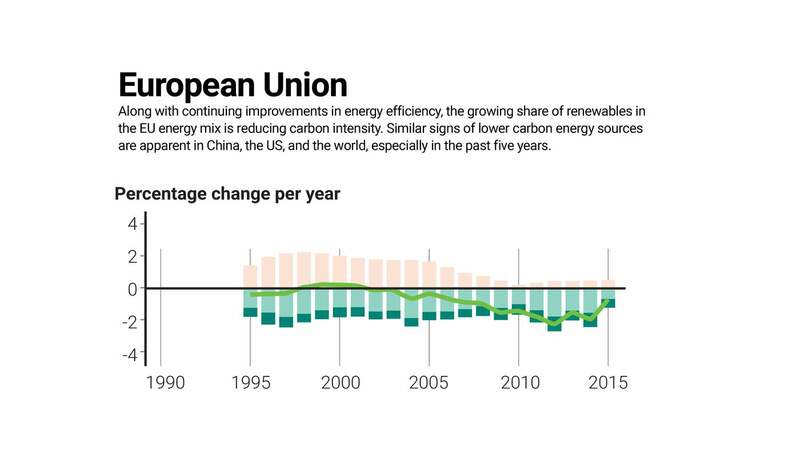 Energy efficiency is responsible for most of the decoupling to date. 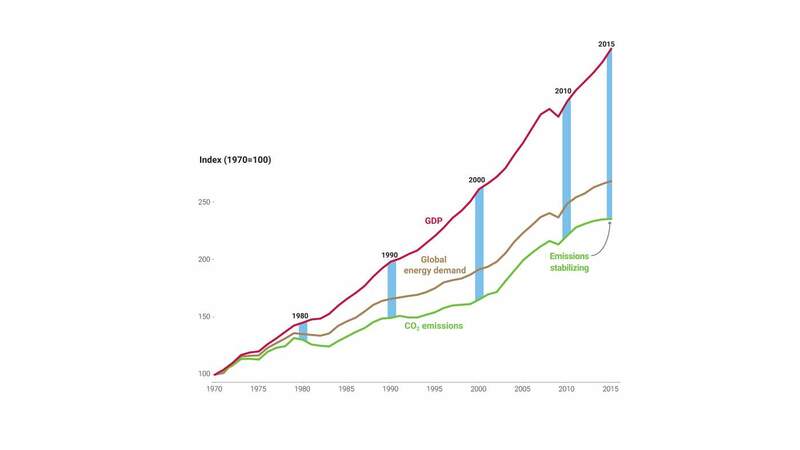 But the transformation to zero carbon fuels must dramatically accelerate to keep up with growing energy demands and increasing world population. 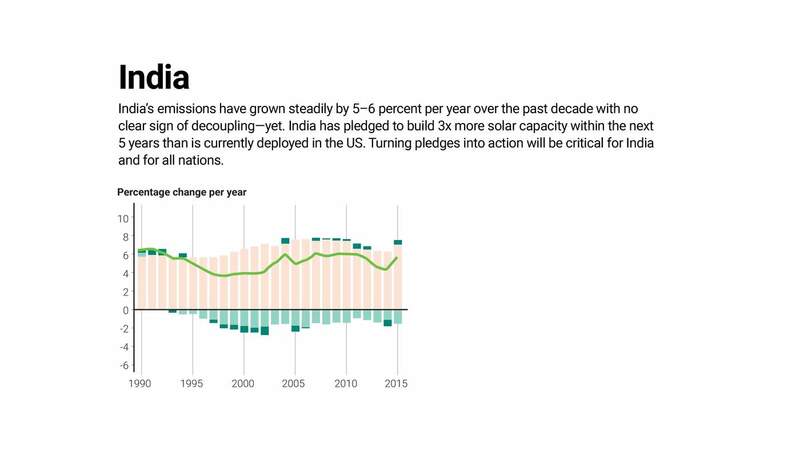 Only then will decoupling be complete. The last five charts display different factors in the Kaya Identity. Developed by Japanese engineer Yoichi Kaya, the formula provides a way to calculate total carbon dioxide emissions based on population size, GDP per capita, energy consumed per unit of economic output, and emissions per unit energy. The IPCC used the Kaya Identity to develop its future emissions scenarios by looking at a range of projections for these four driving forces of emissions. Rob Jackson chairs the Global Carbon Project, where he works with coauthors Josep Canadell, Philippe Ciais, Corinne Le Quéré, and Glen Peters.